Crown Mold CR-4 – EDEN CNC PRODUCTS, INC.
Crown Mold CR-4. Choose the wood species. 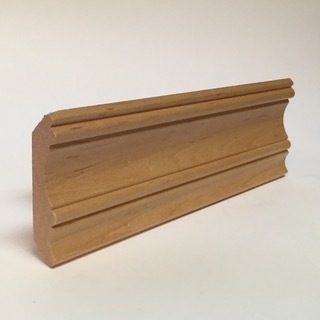 The height of the molding is 3.25 x .75 inches. Crown Mold CR-4. Priced BY-THE-FOOT. Minimum Order of 8 feet long. Boards are 8, 10 or 12 feet boards. You Choose the length board you want.